PHPlist is a great free PHP based mailing list installation you can add to your server, like WordPress – also running with MySQL. This has been added to version v3.2.7. Note that if you upgrade your installation, you will need to add this again – and completely new versions of PHPLIST may change how they work, though it shouldn’t be so drastic as to render this all unusable. Then open /list/admin/index.php and search for this code, adding what’s in green, replace the red text with your own ID, Classes and Google ID codes. And there you have it. 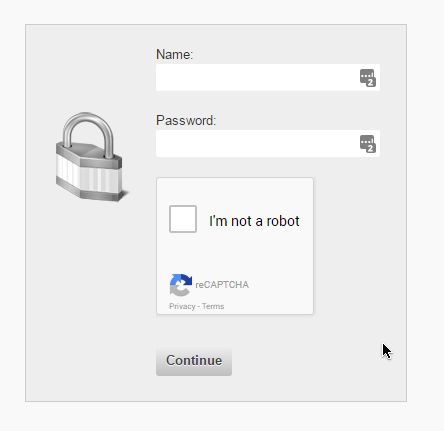 Register for recaptcha for free by googling it, add your site domain(s) to make them work. This may be a little bit more tricky – since there are more than one ways to do this – so you don’t want to block real people, but you don’t want to leave a loophole for spammers. 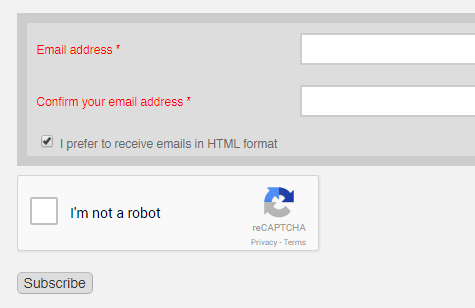 The strategy I’m using for now is to check if POST>>email value is being sent, if so, there should also be a recaptcha POST entry. 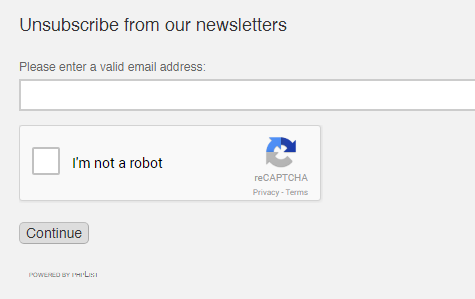 For email unsubscribe links, they will use GET – and they obviously can’t use recaptcha, unless you create an intermediary page.